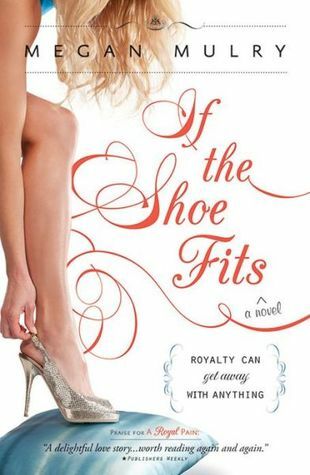 WoW: If the Shoe Fits by Megan Mulry ~ Love.Life.Read. Hosted by Jill at Breaking the Spine this is the weekly feature in which we highlight titles we are looking forward to reading. I just recently read A Royal Pain (review coming) so I am looking forward to reading the second one. These are different sort of books than I usually am drawn to but I am branching out, which is a good thing! Have you thought about joining the Summer Lovin' Read-a-Thon I am co-hosting coming up the week of July 1st? We have some FABULOUS prizes to give out!! I turned off the GFC since it is going away. If you could take the time to follow me on Bloglovin' or Feedly (links are on the right side of your screen) I would appreciate it. :) Thank you! This sounds cute! :) Great pick! This sounds like an interesting contemporary read. Thanks for sharing. This looks like a fun read - I love chicklit but haven't read as much of it lately. I need to because it always makes me feel good about life. And that cover is adorable. I go in spurts--I am glad I picked up the first one. They are worth a whirl if you like chick lit. Happy Reading! This one looks really good :) Thank you for sharing. I haven't read this series yet but the covers are too adorable! They are cute covers. Happy Reading!